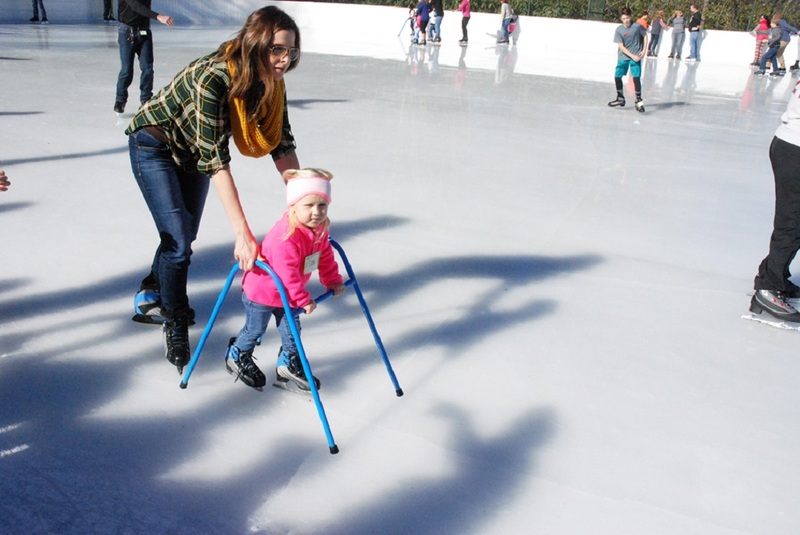 As a traditionally “winter season sport”, ice skating isn’t usually the first thing parents associate with learning to play sports. This is especially true for families who live in places that do not experience snow or winter and where ice sports are simply not as popular as ones that can be played outdoors. If your primary purpose for your kids taking up a sport is to enable them to get fitter and healthier, ice skating will help you achieve this goal. Whenever your children go ice skating, their bodies get a complete workout. They work almost all major muscle groups, especially the lower body and core muscles. Skating builds their bone strength, overall balance, and stability as well. In addition, ice skating is also an excellent form of exercise for maintaining a healthy weight. When your kids have a healthy diet and include ice skating in their weekly activities, they are on the right track to building a stronger body and leading an active life. Ice skating, like other types of physical activities, will help people of any age find stress relief. It is a fun way of exercising which will help kids release tension, anxiety, and anger. This is because when kids are skating, the blood flow to their brain will produce more endorphins – the “feel good” neurotransmitters. Your kids will then feel better during and after ice skating. Additionally, the repetitive motions kids perform while ice skating will help them focus on their bodies instead of their minds. When they concentrate on their movements, they will experience calmness and clarity. No other type of sport can allow athletes to feel more elegant, artistic and athletic than ice skating. When children take up formal lessons, they will learn how to spin, spiral, and jump on ice while trying to keep their balance all the time. Because of this, they will build muscle strength, coordination, flexibility, and endurance which will enable them to be better all-around athletes. At the same time, they will develop an amazing posture and graceful movements that will help them project confidence in their everyday life. Ice rinks are always teeming with ice skaters. As such, your kids will have more opportunities to meet and socialize with other ice skaters of different levels, from beginners to pros. They can then ask them for advice if they want to be better athletes. In addition, if your children are taking up ice skating lessons, they can then make lifelong friends who can become their constant companions when they attend camps and other training. They can become teammates and give each other support when they join competitions as well. When children try ice skating, they will fall – this is guaranteed. But in order to be good in this sport, they will need to get up every time they fall. Whenever kids do this, they are developing an important attitudinal trait: perseverance. Perseverance is a crucial mindset that kids can carry into the classroom and into their everyday lives. When they are determined to accomplish something, whether it is an athletic, academic or personal goal, the lesson they learn from ice skating – that “winners never quit and quitters never win” – will inspire them to work hard until they become successful. The good news is that there is usually an indoor skating rink in nearly all major cities. This means that you do not have to wait until winter to give your children the opportunity to try this sport. You can, therefore, encourage your kids to take up ice skating and watch them as they experience all the benefits this sport can give them.